Granville | Help! My Engine's Overheated! If you are out on the road and you see signs that your engine may be overheating pull over as soon as it is safe to do so and switch off your engine. Carefully open your bonnet and leave your engine to cool down. If there is evidence of steam or vapour then take especially great care when opening it. Never be tempted to remove the cap from the radiator. The system is highly pressurised and removing the cap will release high pressure steam which can cause serious personal injury. Once it is cool you can begin to inspect your engine to see if you can find the reason that it overheated. Your cooling system should be your first priority. 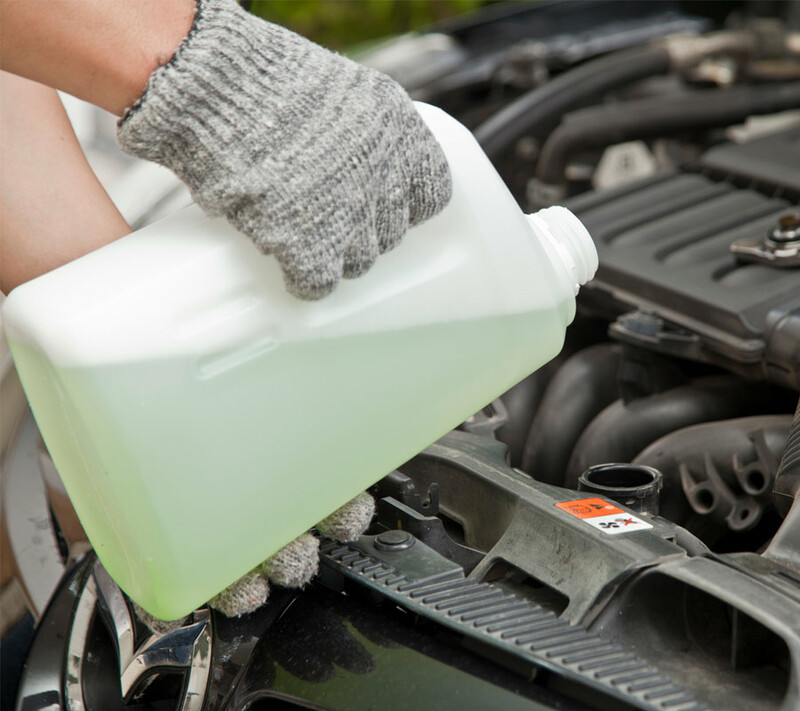 Check that your coolant is sufficiently topped up with the correct dilution ratio of antifreeze to water as specified in your owner’s manual. If you have been using water or too weak a dilution, or you have neglected to top up your coolant for a while then your engine might not be able to withstand as high a temperature as was intended. If you do find that your coolant is low then it is important that you check the hoses for any signs of leakage. If you find that your coolant is consistently low then there is a good chance that there is a leak somewhere in your cooling system. Remember that the source of a leak may not be obvious. It is also worth checking your oil for signs of coolant contamination if you find no outward sign of a leak. If your oil appears like milky coffee then this is a sign of coolant contamination. Seek a professional mechanic’s advice as soon as possible if this is the case. If your engine has overheated then there is a good chance that you may have a problem with your fan. If your fan belt has broken then you have lost a vital element of your cooling system. You will need to get it replaced as soon as possible. Even if you think you have found the reason that your engine has overheated it is best to err on the side of caution and have your vehicle checked over by a professional mechanic to make sure that there isn’t a problem related to the overheating that might not be obvious. This article is intended for general information only and is not intended for use as a diagnostic tool. Always consult your vehicle&apos;s user manual before attempting any maintenance on your vehicle. Seek the advise of a professional mechanic if in doubt.